Salman Rushdie (born June 19, 1947, in Bombay, India) is an essayist and author of fiction, most of which is set on the Indian subcontinent. He grew up in Mumbai (formerly Bombay) and then graduated with honours from King's College, Cambridge in England. His narrative style, blending myth and fantasy with real life, has been described as connected with magical realism. Rushdie recently married prominent Indian. His writing career began with Shame, where he depicts the political turmoil in Pakistan by basing his characters on Zulfikar Ali Bhutto and General Zia ul-Haq. Both these works are characterised by, apart from the style of magical realism, the immigrant outlook of which Rushdie is so very conscious. 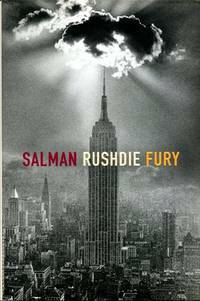 Rushdie is also highly influenced by modern literature. Midnight's Children borrows themes from G�nter Grass's novel The Master and Margarita. India and Pakistan were the themes, respectively, of Midnight's Children and Shame. 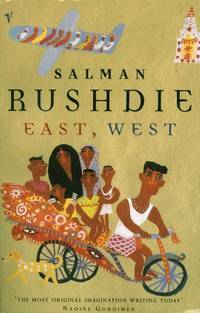 In his later works, Rushdie turned towards the Western world with The Ground Beneath Her Feet, in which the influence of American rock 'n' roll on India plays a role. 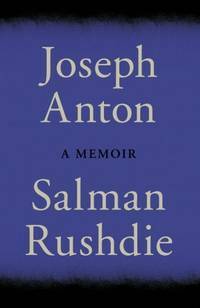 Midnight's Children receives accolades for being Rushdie's best, most flowing and inspiring work, but none of Rushdie's post-1989 works has had the same critical reception or caused the same controversy as The Satanic Verses. Rushdie received many other awards for his writings including the European Union's Aristeion Prize for Literature. He is also a fellow of the Royal Society of Literature and Commandeur des Arts et des Lettres. The publication of The Satanic Verses in 1989 caused controversy in the Fundamentalist Muslim world, due to its irreverent depiction of the prophet Muhammad. On February 14, 1989, a fatwa promising his execution was placed on him by Ayatollah Ruhollah Khomeini, the leader of Iran, calling his book "blasphemous against Islam". Furthermore, Khomeini condemned Rushdie for the crime of "apostasy" � i.e. attempting to abandon the Islamic faith � which according to the Hadith is punishable by death. This was due to Rushdie's communication through the novel that he no longer believes in Islam. Khomeini called on all "zealous Muslims" to execute the writer, as well as those of the publishers of the book who knew about the concepts of the book. On February 24 Khomeini then placed a three-million-US dollar bounty for the death of Rushdie. Rushdie lived for a time under British-financed security. During this period, violent protests in India, Pakistan, and Egypt caused several deaths. Muslim communities throughout the world held public rallies in which copies of the book were burned. In 1990 Rushdie published an essay In Good Faith to appease his critics and issued an apology in which he seems to have reaffirmed his respect for Islam. However, Iranian clerics did not retract the fatwa. Rushdie's notorious friendships with occult groups and group members such as Anton LaVey and book shows at popular occult gatherings has linked him to occult activity. In various interviews Rushdie has professed to practicing occcult activites including alchemy. This seemed to only fuel the fire of media and critics. His accusations and critical comments regarding the fatwa later made him a marked man in the Muslim community. Rushdie has made statements to defend his book but still many in the Muslim community consider him a wanted man. Famous people in the Muslim community stepped out in defense of their Muslim faith to protect their image. The novel had been banned in India and South Africa and burned on the streets of some Arab neighborhoods in England. At the University of California, Berkeley, bookstores carrying the book were firebombed. 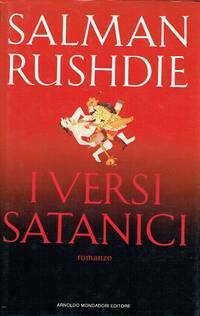 In 1991 the Japanese translator was murdered and in 1993 Rushdie's Norwegian publisher was wounded in an attack outside his house. In 1997 the bounty was doubled, and the next year (before the Iran-UK agreement) the highest Iranian state prosecutor restated his support. "The responsibility for carrying out the fatwa is not the exclusive responsibility of Iran. It is the religious duty of all Muslims � those who have the ability or the means � to carry it out. It does not require any reward. In fact, those who carry out this edict in hopes of a monetary reward are acting against Islamic injunctions."